Now, it's even easier to mock the burgeoning hipster, "foodiot" culture; and specifically, Brooklyn's bar scene. A new website created by a frustrated Reddit user is serving up some serious shade by generating fake Brooklyn bar menus chock-full of ampersands, and they're sadly -- no, hilariously -- accurate. 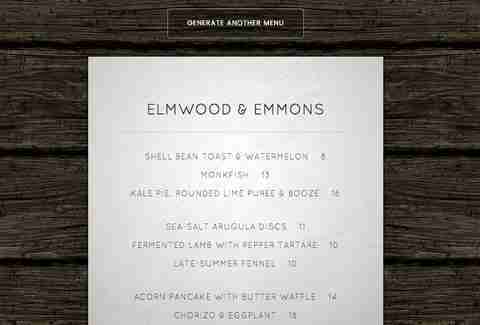 For instance, the site generated a menu for a place called "Troy & Eckford," which offers dishes like $18 "frightened fennel croquettes" and "rustic seaweed crumble." Each subsequent menu is funnier than the last. 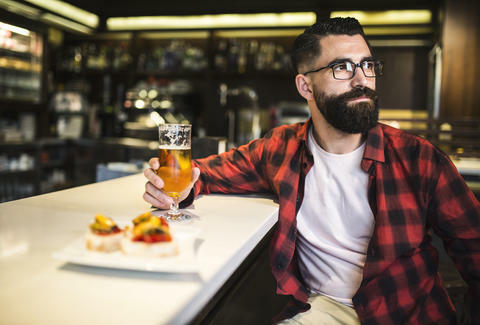 "Have you recently purchased a bar in Brooklyn, but are completely bereft of original ideas?" it states. "Firstly, congratulations on joining the thriving Brooklyn bar scene! Secondly, relax! You can use this handy tool to generate a name and menu for your fine establishment -- absolutely no imagination necessary!" Translation: Brooklyn hipsters, what's good? Tony Merevick is Cities News Editor at Thrillist and actually really likes ampersands in restaurant names. Send news tips to news@thrillist.com and follow him on Twitter @tonymerevick.